JDEE’s hauling specializes as a debris remover in Orange County CA. From complete estate cleanout services to garage clean out services, garage junk removal, yard debris removal, construction site clean up, scrap metal haulers and pick up service. We are you junk removal and hauling service of choice in Orange County, Los Angeles County, and the Inland Empire. Whether it’s the contents of an entire home or just one room. 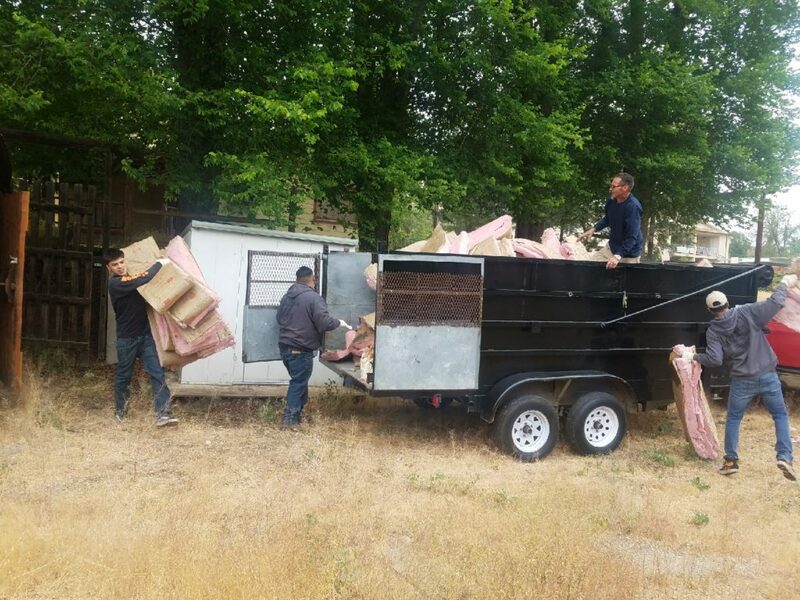 We never say “NO” to our clients, we understand that debris can hinder your lifestyle and our family owned company started on the basis of serving our community, therefore we are always happy and ready to serve. Our Orange County Debris Removal Team Hard at Work! Garage cleanout or garage junk removal is very common. Garages across our community are filled to the ceiling over the years with items, collectibles, boxes, and more. Rodents strive in this environment, and the pile of junk may include hazardous waste if you’re not careful. Our team is experienced in hazardous waste removal, complete estate clean-outs, estate buyout services, and Hauling. Our name says it all. JDEE’s Hauling and Estate Liquidation Services. Got Junk? Whether it’s yard debris removal or you want all the junk hauled away post construction, our team is well-equipped and staffed to handle any size project. We always look for ways to off-set the cost for our clients by selling anything that can possibly sell to our wide range of connections in the industry. Our Orange County debris removal services are relied on by homeowners, family members of hoarding households, real estate agents, businesses, and construction companies. We are also an earth friendly company. We care about our environment, we do everything possible to sell, re-purpose, donate, or recycle anything that’s deemed possible. Our goal is not to overfill our land fills, but rather to free up your life while maintaining a beautiful environment for our future. We are also the go to scrap metal haulers of choice for many residents. Our scrap metal pick up service in Orange County can help you if you have scrap metal in Los Angeles or the Inland Empire. Our company has been built on word of mouth for over 8 years. We take pride in every estate liquidation service we provide. We look forward to assisting you, please contact us for a FREE hauling estimate, estate liquidation evaluation, or anything else relating to de-cluttering your life.